Just recently I visited Sri Lanka. It was surprising to see that very few local people smoked cigarettes. The people that smoked were mostly overseas visitors. I asked my guide “why” so few Sri Lankan’s smoked. He told me that several years ago the government had launched a campaign to shame and blame smokers and that it had been very effective. Whilst I don’t advocate such a program I wondered why their quit smoking campaign had been so effective. The only thing that seemed logical was the culture of the people and the country. The government is listened to and it has a lot of influence. In all the local markets I found tobacco freely available. 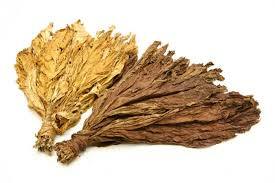 This tobacco was not in the form of cigarettes but was being sold as chewing tobacco. While I was travelling throughout the country, I saw people chewing tobacco rather than smoking cigarettes, however, it still was not a common practice. Incidentally, chewing tobacco has as many, if not more, harmful effects from nicotine as smoking does but it also damages your teeth and oral health quite significantly. I suppose a good thing is there is no ‘passive smoking’ problems but it is still very unhealthy to chew tobacco. I found it quite difficult to deal with the ‘side effect’ of spitting. It seems that wherever I go in the world there is a campaign to stop smoking. People overall realise that smoking cigarettes is not a habit that goes hand in hand with good health. I don’t believe, however, that campaigns that force people to quit smoking are ever totally successful. I would rather a person comes to the realisation that smoking is harming them. The it is up to them make a decision for themselves that they want to stop smoking. Smokers should have the freedom to choose to quit smoking for themselves not suffer from blame and shame tactics from authorities. Previous	Are You a Good Role Model for Your Children?